Enjoy 20% OFF on all online bookings! Our mobile ski concierge brings top-of-the-line equipment right to your residence. No waiting in line or hauling gear. Our master technicians provide professional fitting and quality selection in the comfort of your accommodations. Our vans are stocked with full size runs of equipment to accommodate everyone’s needs. You can exchange your equipment at any of our locations in Vail, Beaver Creek, Avon and Breckenridge, and we even provide slope-side assistance with one easy call. SAVE 20% by reserving in advance! 24 hour advanced online reservation required. 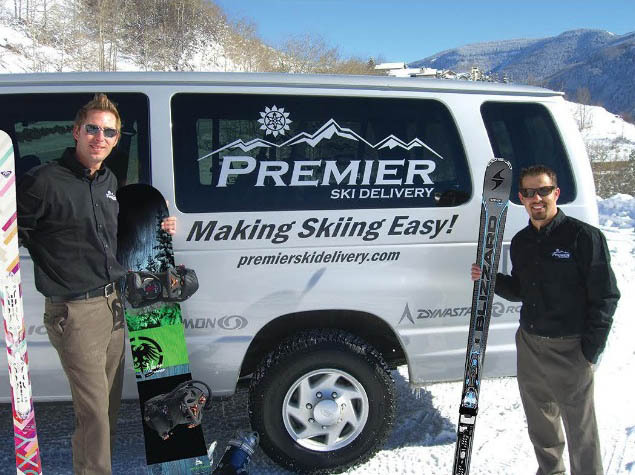 With Premier Ski Delivery your satisfaction is guaranteed.